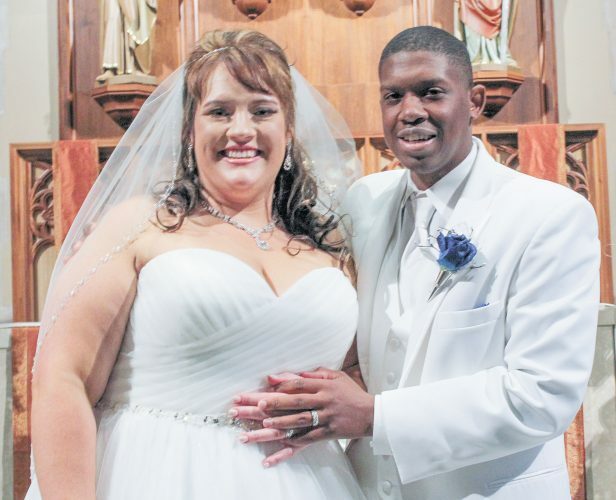 Stephanie Lynne Hill and Austin Edward Frankart exchanged wedding vows at a 1 p.m. Nov. 18, 2017, Mass at St. Mary Catholic Church, Tiffin. The officiant was the Rev. Kishore Kottana. A reception followed the ceremony at Meadowbrook Ballroom, Bascom. The bride is the daughter of Kevin and Cheryl Hill of Fremont. The groom is the son of Jon and Lori Frankart of Fort Seneca. 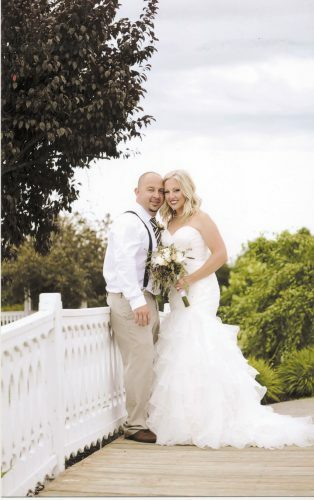 The bride, given in marriage by her father, wore a DaVinci white tulle ballgown with sweerheart neckline, chapel train and ruched bodice with beaded belt and a sheer bolero. She carried a bouquet of safari sunset and pincushion protea, seeded eucalyptus, tree fern and orange roses wrapped in navy ribbon. Bridesmaids wore Illusion one-shoulder, full-length navy dresses with a corded lace bodice, ribbon belt at waist and long, mesh skirt, and carried bouquets of safari sunset and pincushion protea, seeded eucalyptus and tree fern wrapped in navy ribbon. Maid of honor was Olivia Burke, best friend of bride. Flower girl was Mckenzie Kline, friend of groom. Bridesmaids were DeAnna Miller, Megan Miller, Kelly Joseph, Sarah Tiellnd Chelsea LaFluer, all friends of the bride, and Lydia Frankart, sister of groom. 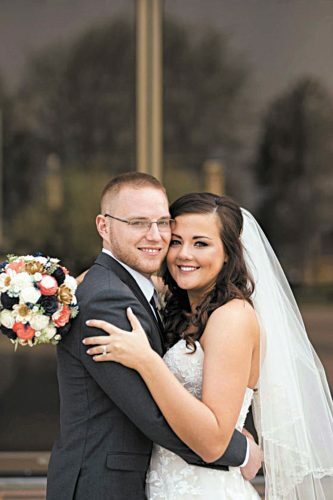 Best man was Zachary Armstrong, best friend of groom. Ring bearer was Cameron Kline, friend of groom. Groomsmen were Troy Frankart, brother of the groom; Matthew Hill, brother of the bride; Kevin McKinney, cousin of the bride (in loving memory); Chad Krauch and Mason Gaietto, friends of the groom; and Logan Frankart, cousin of groom. 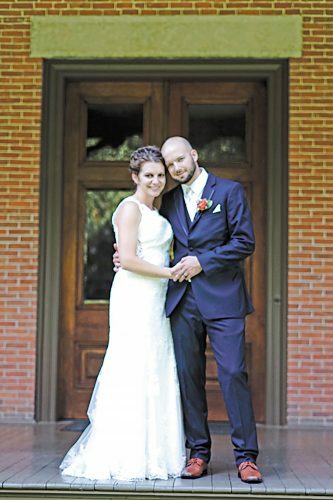 The bride is a 2012 graduate of Old Fort High School and a 2016 graduate of The University of Findlay. She is an athletic trainer for NOMS Healthcare, Clyde. 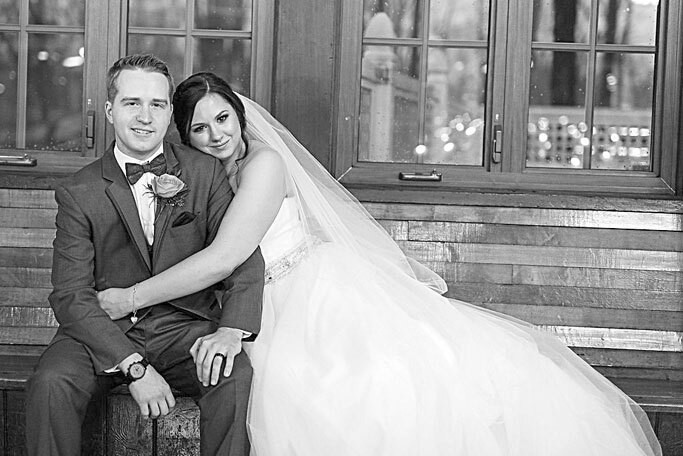 The groom is a 2011 graduate of Old Fort High School and a 2014 graduate of The University of Northwestern Ohio. He is an engineer for Callies Performance Parts, Fostoria. 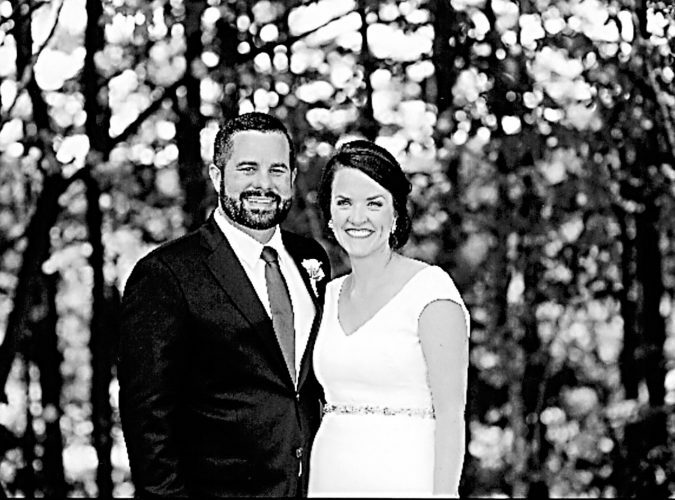 They lived in Englewood, Colorado, after returning from their Hocking Hills honeymoon and recently moved to Fort Seneca.